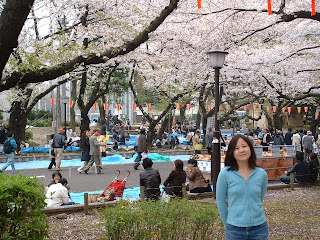 Monday, I decided that I needed to binge on cherry blossoms before I left town. 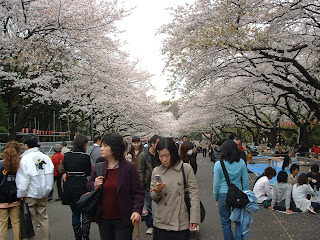 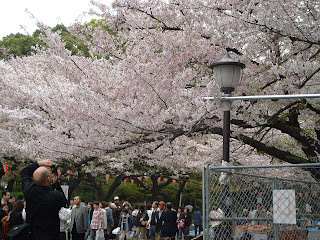 We went to Ueno Park, which is what I bet people think of when they think of cherry blossoms in Tokyo -- wide avenues with rows of cherry blossoms trees and people everywhere. 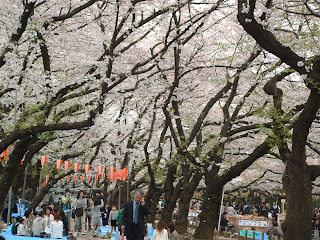 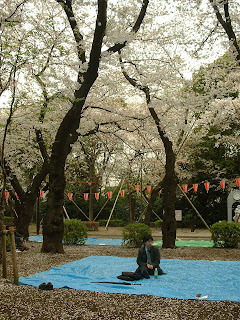 We ate lunch in the park under falling cherry blossom petals; there were a bunch of food stands selling squid and noodles and other food, as well as drinks (including sake). 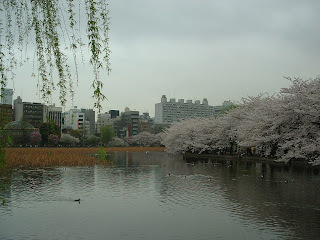 You can see that the end of the season is approaching; there are leaves on some of those trees. 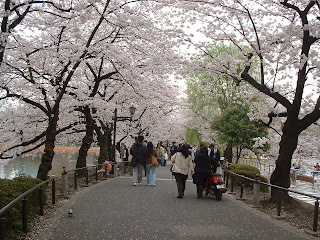 I like how the flowers bloom straight out the trunks. 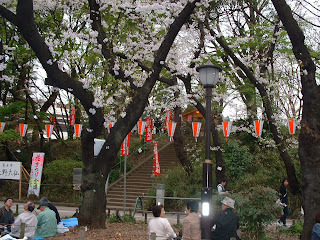 I've heard that for the hanami, the office will send out the junior member to save a spot all day. 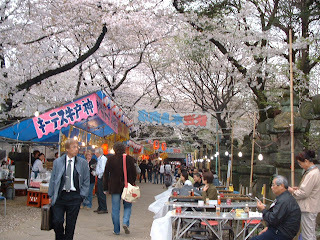 I saw quite a few blue tarps taken by suits (by the way, everyone in Tokyo wears a suit, it's uncanny) with red faces, drinking something alcoholic. 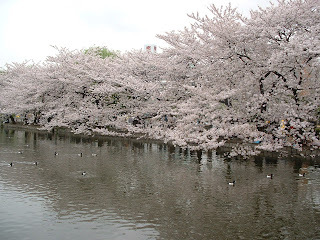 This is a very pretty tree.